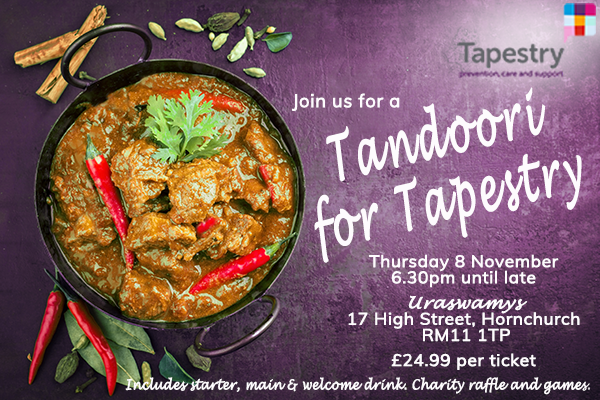 Join us for a tandoori, tikka (or any other curry you like) for our charity of the year, Tapestry on Thursday 8 November at Uraswamys Indian restaurant in Hornchurch. 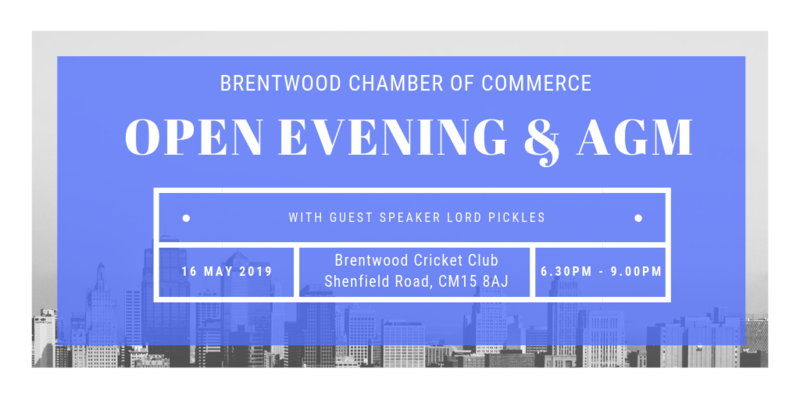 We will be welcoming guests from 6.30pm with a drink followed by a delicious two course meal before you can try your luck at some dinner party games and a raffle with some fabulous prizes. Tickets costs £24.99 per person with all profits going to Tapestry. For further information and group bookings contact communications@pinneytalfourd.co.uk or call 01708 229444.